Reiki is a healing art that comes to us from Japan. In fact, the word reiki is formed by merging the Japanese word REI, which translates to universal life, and KI, which means energy. In other words, reiki is rooted in universal life energy. Reiki practitioners are trained to channel this energy by gently placing the hands on or above the body in specific positions as a way to stimulate the body’s own ability to heal. 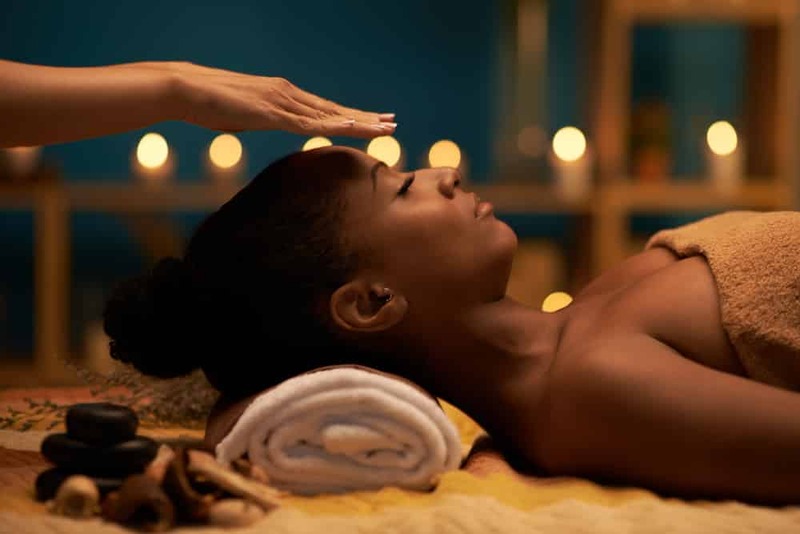 At The Raven Spa, which is acknowledged as being among the most progressive day spas in Los Angeles, we are proud to offer reiki treatments designed to relieve the pain you may be experiencing, to restore vitality when you are feeling rundown and lethargic and to enhance your spirit. Our clients tell us that they continue to feel the healing benefits of this treatment for days after they visit either of our Los Angeles spas. While many recognize a spiritual element to reiki, it is not a religious practice. It is not a substitute for medical attention. Like acupuncture, in reiki the free flow of energy within the body is associated with good health and well-being. When the life energy within you is blocked, it can result in physical, mental or emotional imbalance or illness. By restoring the free flow of energy, reiki can help you heal and regain your equilibrium. Whether you visit our Santa Monica or Silverlake location, a reiki session at The Raven Day Spa in Los Angeles will last for 60 minutes. Be sure to tell your practitioner if you are experiencing any pain or symptoms of unwellness. Also be sure to tell your practitioner if you would rather not be touched. During your session, you will lie comfortably on a massage table on your back. You’ll want to take your shoes off, but otherwise you will remain clothed. For that reason, you’ll want to wear something comfortable that isn’t tight-fitting.